In case you didn‘t know, Dennis Bowman, who lovingly preserved and enhanced the old Langlois Cheese Factory, has now lovingly replaced the old sign with an “almost” replica (no neon, but it does have lights!). Come to the Lighting BBQ & Potluck and congratulate Dennis for his fine work. 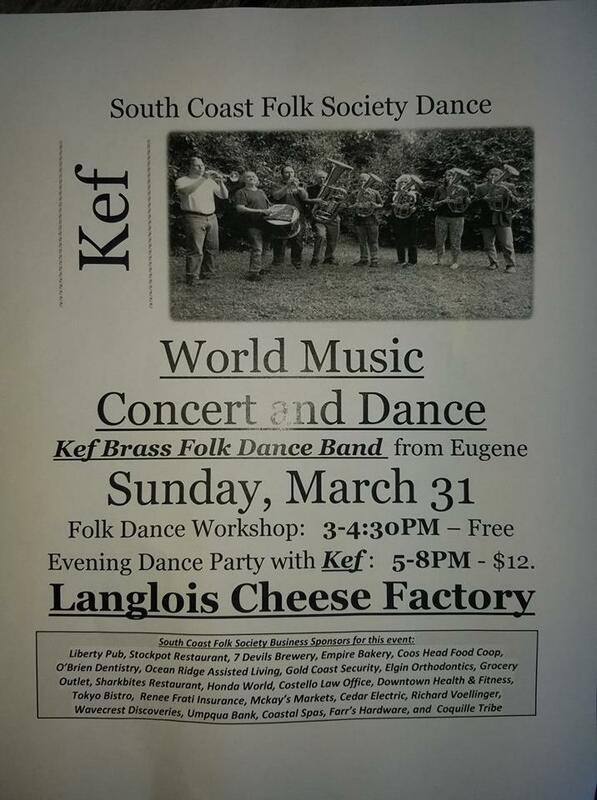 To make this festive day even more wonderful, the South Coast Folk Society is having a workshop and a concert and dance, oh my! The Cheese Factory is one of our very best venues for just about anything. This is going to be a special day!